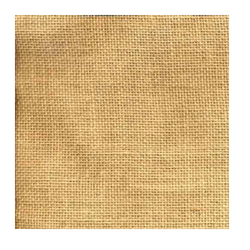 Jute Hessian and Burlap Cloth is a finer quality jute fabric that has been long used as the most preferred packaging material for all kinds of goods. A plain weave cloth made wholly of Jute with single warp and weft interwoven weighing not more than 576 gms/m2. All types of standard and non-standard Hessian Cloth vary from 4 Oz to 14 Oz in weight. Width up to 200 c.m., construction as per customer specification, and requirements. Also available in "dyed", or "bleached" form and treated with vegetable oil, Burlap meets the latest international standards for food safety. 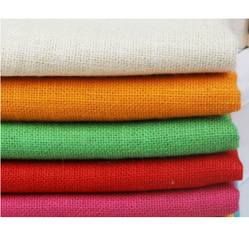 We are a well recognized manufacturers and exporters of a quality range of Jute Hessian Cloth. These clothes are also termed as Burlap and are finer quality jute fabric that is widely used as packaging material for all kinds of goods. Further, all types of standard and non-standard hessian clothes vary from 4 Oz to 14 Oz in weight and width up to 200 c.m. Also available in "dyed", or "bleached" form and treated with vegetable oil, a plain weave cloth weighs not more than 576 gms/m2. We have in store for our customers a wide range of Dyed Hessian Clothes. These clothes are woven using natural jute fiber and treated with vegetable oils and are available in dyed and bleached form. Further, these clothes are used for the packaging of various commodities like coffee beans, tobacco, wool, and cotton.